Christmas is almost here, and what better way to get in the holiday spirit than crocheting your own ornaments! 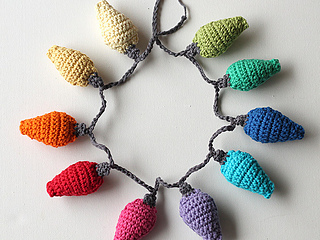 This week you’ll learn how to crochet these fun rainbow Christmas lights. 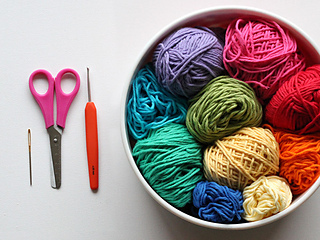 If you’ve always wanted to learn how to crochet, follow our series of Crochet Fundamentals. This pattern uses US terms and stitches include single crochet (sc), single crochet 2 together (sc2tog) and chain (ch).